Wellingborough RFC has a welcoming fully licensed bar and function room that is open throughout the week for both members and non members to enjoy the great hospitality the club offers. Need a meeting room during the day? Want to hold a corporate or training event? Or Hire the clubs grounds? Then email Owen Tomalin, Club Manager on owentomalin@yahoo.com, or ring Monday to Friday 7.30pm - 10pm, Sat 12.00 - 8.00pm, Sunday 12.00 - 4.00pm on Tel: 01933 222260 for bookings and enquires or come in and see us. 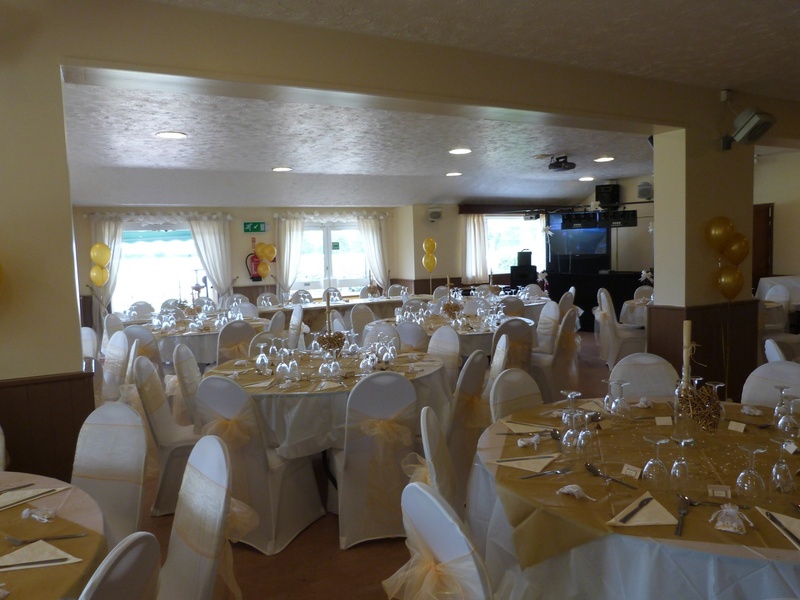 A main Club room for all major functions that will accommodate up to 200 people. A kitchen for caterers and food preparation. Large patio area facing the pitches. Open Areas for siting Marquees. Accomodating staff who will strive to meet your every requirements. Large parking area and outside BBQ. There is also lots of free parking is available in the club car park for all function events and discounted rates are available to club members.